Still waiting for your Hogwarts acceptance letter? Die-hard Harry Potter fans now have a chance to attend the famed school of Witchcraft and Wizardry at a Polish a castle next spring. Polish company Liveform and Rollespilsfabrikken first staged a Live Action Role Play (LARP) event based on the J.K. Rowling blockbuster book series and movie franchise on Nov. 19. 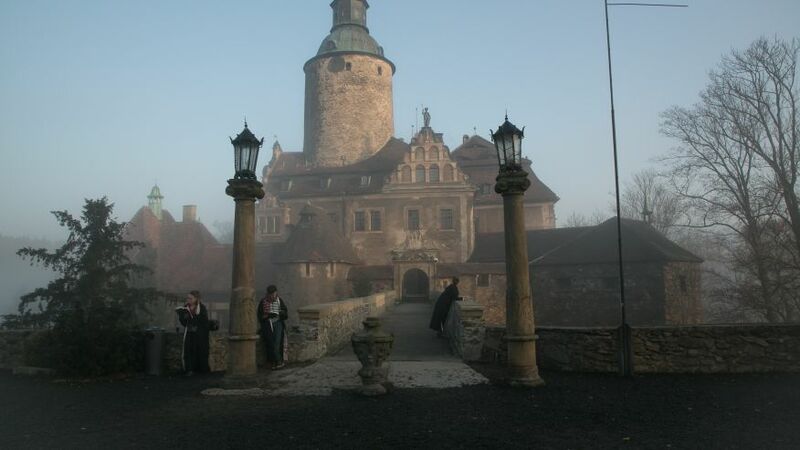 Over 180 participants from 11 countries traveled to Poland to don wizard robes and cast spells. After the massive event success, the teams will be staging two more four-day sessions next April at a stunning castle in Czocha, Poland. The “collaborative experience” allows LARP-ers to take classes like Defense Against the Dark Arts and Potions, play Quidditch, and even attend a magical ball. “It’s essentially the same as when kids use curtains as robes and sticks as wands and run around pretending to be witches and wizards – except we’re grownups with nicer costumes and a lot of experience in designing interactive experiences for each other,” explains the event’s official website. Though the event costs about $220 to attend, the attendees who play professors, ghouls and other mythical creatures are all volunteers. Claus Raasted, a spokesman for the College of Wizardry, told FoxNews.com they expect up to 160 people at each session next year. Lodging and food is included. Enrollment for the next two role-playing festivals opens on Dec. 8. Check out the action from November’s session.